One Teemo shroom is enough. But infinite? That’s rage-inducing. Videos of a game-breaking interaction with Sylas and Teemo have been popping up on social media after yesterday’s Patch 9.6 for League of Legends. The video showed that, once Sylas hijacks Teemo’s ultimate, Noxious Trap, he’ll be able to spam his “shrooms” across the map infinitely. Other Reddit users have since posted videos showing they could replicate the bug, and that’s led Summoner’s Rift to be filled with the joyous pleasures of Teemo shrooms. Once stepped on, they slow the enemy and deal damage over time. The damage, however, does not stack over multiple shrooms. Obviously this would be pretty annoying to play against. You could be chasing an enemy through the jungle, only to be permanently slowed and tormented by Teemo’s delightful shrooms. Often an annoying experience with just one in lane, running into five, ten, or even 20 in a row does not sound fun. Usually, when Sylas hijacks an ultimate, he only gets a single use. A similar comparison is if Sylas hijacks a human form Nidalee and uses her Bushwhack traps, he can only use one trap before it goes on cooldown. For some reason, however, Teemo’s shrooms have slipped through the crack to make this equally amusing-but-infuriating bug. 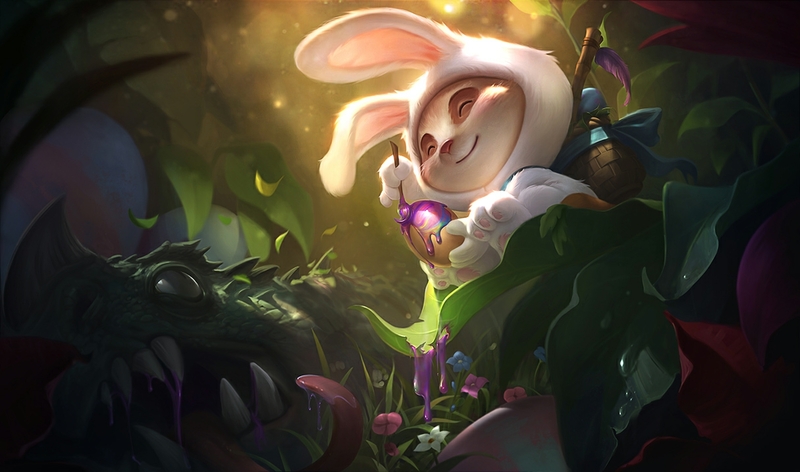 If you are about to step out onto Summoner’s Rift, maybe think twice about letting Teemo—or Sylas—through into your games until the bug is patched out.